Dublin Bus – you hate it, but you need it. Coming from a foreign country, known as super organised Germany, I quickly realised things in Ireland run in their own time zone, but public transport in Dublin takes this to a whole other level. As a student, I am not in the position to afford a car, so opting for the bus seems like the less pricier option. Unless you are travelling with Dublin Bus, where services are low and prices are high. Even with a leap card student discount, it is still eighty Euros a month, which is very high compared to other European cities. And this doesn’t even include the Luas or the Dart, that’s just for hoping on the big blue yellow thing that is, Dublin Bus. Topping up that Leap Card isn’t so easy either as you always have to drag yourself to the nearest shop, but finally there is an official top-up app! Sounds good, doesn’t it? Well, unless you’re the owner of an iPhone, because the app is only available for download on Android devices. Sigh, technological discrimination, as I would call it. Still, Dublin Bus has become my daily life partner since I moved here last September and we have developed a rather complicated love-hate relationship.Hate because no matter how far you plan ahead, your schedule often gets crushed by busses not showing up at all or if they do, they are hardly ever on time due to never ending traffic. Yes, there is the real time info App, but have you ever noticed how some busses just disappear off the schedule? Pretty sure there is a Bermuda Triangle for lost busses somewhere in Dublin. If they do make it out of that triangle and into my area, I get all excited till I realise they are currently “Not in Service” and its back to the waiting game. Nevertheless, after all that moaning, which I perfected during my time in Ireland, there is love aspect. After all that time waiting in the cold (and mostly rain), if the bus does show up and the driver opens up that door and smiles at you, there is no way of being mad. That’s the Irish way of saying: “sorry I stood you up in the rain but I’m here now, so it’s grand right?” and you kinda have to love it. There is a solution to all of this and it is called, a tube. 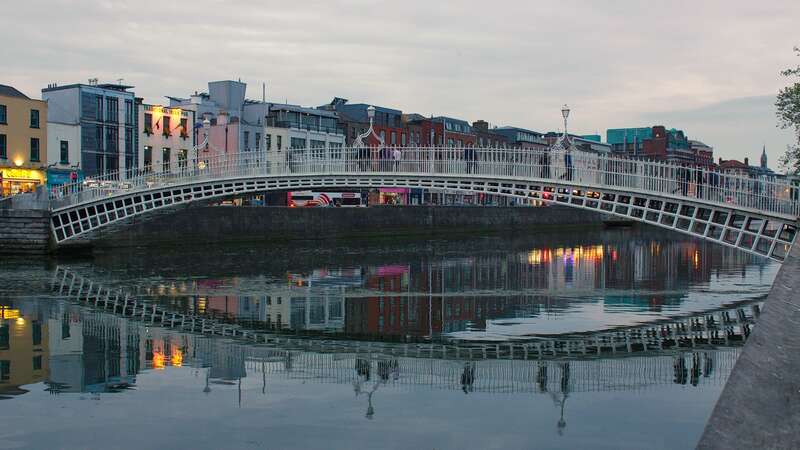 Dublin is big enough to install underground stations and not would it save us all a lot of time and nerves in the morning, there would be a real chance to escape the never ending traffic jungle, that is called Dublin.